Gary Jaskulski was my choir director at Truro. He did the impossible job of following the legendary George Mims – and he did it well, very well. When Gary first visited Truro, I recall he was not looking forward to the drums that is an integral part of our Sunday morning Eucharistic worship. But that all changed when he met our drummer, National Symphony Orchestra percussionist Joe Connell. In fact, they forged such a strong friendship that it was during Gary’s tenure at Truro that Joe was baptized. His sponsors were Gary and Marilee and the entire Truro Choir. Another early highlight of Gary’s time at Truro was that he was sent up to Boston to be mentored and trained by the another great legend in the Episcopal Church, Horace Boyer. As I also recall, Gary spent a week training with Horace, re-learning how to play and lead American gospel music. That time forged a very strong between these two perhaps unlikely kindred spirits. But God is like that. And now Gary has gone for a very early Easter. In this Lent we will sing Hallelujah. And somewhere, where they see now face to face, Gary and Horace shout their Hallelujahs! Hallelujah, Christ is Risen. Go in glory, dearest Gary – who taught not only a widely suburban parish to sing a blend from Fauré to Townend and and sing it well (he was stickler for the clear sound of plain song – no wiggling! ), but also sweet southern Gospel and the blues. Farewell Gary – you fought the fight, you finished the race, you kept the faith. To God be the glory. Gary M. Jaskulski, music and choir director emeritus of St. Joseph Church, Sylvania, who began to play the organ in church after one lesson at age 12, died Wednesday in his Sylvania home of pancreatic cancer. He was 50. He had cancer nearly two years. His wife, Merrilee, assumed his duties in June. During a concert in December to dedicate the church’s refurbished organ, he played piano and his wife played organ. “He had wonderful, funny stories about the places he had been and some of the ministers and other choirs,” Mrs. Bahna recalled. 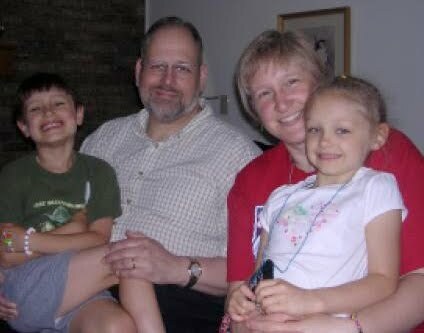 Mr. Jaskulski arrived at St. Joseph in 2006. In his career, he played organ at churches in six states. “He firmly believed the music was a ministry and not a performance, and it was about the people, not the music,” his wife said, “and it was the music that helped lead the people into worship. Born Sept. 12, 1959, Mr. Jaskulski was 12 when he had that first organ lesson that inspired his life’s work. Afterward, he starting playing organ in his grandparents’ church at 12 in Tariffville, Conn. He was paid $5 a Mass. He was a 1978 graduate of East Granby, Conn., High School. He had bachelor’s and master’s degrees in liturgical music from the Hartt School at the University of Hartford. “Church music was all he was ever interested in,” his wife said. He was fond of the traditional Anglican style of organ, especially early on. He studied the Gospel music of the black church with a professor at the University of Massachusetts, Amherst. He had posts at Episcopal churches in Winter Park, Fla.; Mobile, Ala., and Fairfax, Va., and a Presbyterian church in Pennsylvania. He also worked at an Episcopal boarding school in Rhode Island and taught at the University of Central Florida. He grew spiritually, realizing “that his style of music and the teachings of the Catholic Church were what he believed in,” his wife said. Surviving are his wife, Merrilee, whom he married July 22, 1983; daughter, Catherine; son, Christian, and parents, Barbara and Theodore Jaskulski. The body will be in the Sujkowski Funeral Home Northpointe after 2 p.m. Thursday, with a Scripture service at 7 p.m. Thursday in the mortuary. Funeral services will be at 10 a.m. Friday at St. Joseph Church, where the body will be after 9 a.m. The family suggests tributes to the organ fund at St. Joseph. One of the first people I met at Truro was a man named Gary Jaskulski. He was the Director of Music and Arts and led a music program that was like none I had ever seen in my limited Episcopal (at that time) experience. After an opening hymn with organ, full choir, strings, brass, and timpani, they segued into the Gloria, still with the organ, full choir, and strings, but now with piano, guitars, drum set, and the pastor (now my bishop) playing his tambourine and shaking his hips. They actually attempted to do “blended” music, as in, do all kinds of styles of music in one service, and they actually pulled it off pretty well. It wasn’t long until he cornered me after church and asked me to come by his office later in the week, with my shiny new Taylor, and audition. I wasn’t quite sure what to think – I was used to playing contemporary music with four or five chords, had never worn a choir robe in my life, and had never auditioned for anyone! A few days later I came by his office, we played and sang through a few songs together, and he asked me to play guitar on Sunday mornings. And I had to wear a choir robe. So for several years I came every Sunday morning and played guitar at Truro Church under Gary’s leadership. It was just what I needed. It was a place for me to grow and mature as a guitarist. Many Sundays he would put music in front of me with no guitar chords at all. Just a treble clef and a bass clef. I had to figure them out on my own. And many of these songs had more chords than I had ever seen in one song. It was a place for me to grow in my love for more traditional forms of music. Up until coming to Truro, I might have sneered at what I thought was the irrelevancy of the organ. Now I got to sit under it every Sunday, hear Gary play it with amazing skill, and experience the grandeur of such a beautiful instrument. It was a place for me to learn how to be comfortable with spontaneity. If Gary wanted me to take a verse of a song, he would just point at me about two measures before the verse started. I had to learn to watch him, to be ready, to be comfortable with making mistakes, and to rehearse just in case I got called on. It was a place for me to experience multiple styles of music being employed in one service with excellence, humility, and joy. Gary was just as comfortable letting the organ soar on “Glory Be to Jesus” as he was playing gospel-style piano on “Soon and Very Soon”. He loved playing glissandos. I had no idea when I first arrived at Truro and met Gary what a difference he would make to me as a worship leader and musician. I still try to emulate him on the piano. I’ll probably never come close. He was that good. But after a year or two of playing under Gary’s leadership, I remember asking myself: “what is it that is so unique about how Gary leads?” I realized what it was. I never left a service thinking about how skilled an organist, pianist, or choir director Gary was. I left more aware of how great God is. Today Gary stepped into the presence of that great God, after a long battle with cancer. His wife Merillee, son Christian, and daughter Catherine were by his side as he breathed his last breath. I’m confident that there are pipe organs and pianos in heaven that we cannot even begin to imagine. It won’t be long until Gary has found one of them and is playing and singing “Glory Be to Jesus” with the saints and the angels joining in and falling on their faces in worship. Gary, I thank God for you, your life, your ministry, and your contagious passion for his glory. Now you get to experience that glory in all its fullness. Enjoy your new robe. I first became acquainted with Gary in an unusual way: Many years ago I visited a church in Connecticut for a Christmas Eve service. Gary was the music director at the time, but I didn’t even notice him, much less meet him or remember his name. As I left the service, I only had one thought: how could a little country parish have such an excellent-sounding choir? The mystery stayed with me for a long time, and quite a few years later while I was serving on the search committee for a new music director at Truro, Gary submitted his resume. He found us! We had never met before he came to Truro, but we quickly became good friends. Gary had some unusual gifts. His wife Merrilee, calls it the “Pied Piper effect,” and I agree. He was very soft-spoken, but somehow people just wanted to be around him. He was a great story-teller, and he always told side-splitting stories of his experiences in the music ministry wherever he served. He was the most persuasive person I’ve ever met. About two years ago at his parish in Ohio, he was busy raising funds to rebuild the pipe organ. When he showed me his plans I said, ”Gary, you have a perfectly fine organ here already! How can you convince a whole congregation that they need a new one?” He just smiled and said, ”I have my ways…” And the new organ was completed just about a year ago. During his time at Truro,the Parish Choir did achieve new heights. Under Gary’s leadership, we were able to acquire section leaders, we learned new music, and we even learned how to sing gospel music, thanks to all the time Gary was able to spend with Horace Boyer. But Gary’s stronger passion was leading the children’s music ministry, with the Royal School of Church Music training program. He said that teaching good music for the church was important, but what he really wanted to do was give them great memories. While serving on the organ committee with Gary, I was really able to appreciate his superlative talent as an organist, which was his true passion. Because of the work of the organ committee at the time, I travelled with Gary around the country while he played and evaluated different types of pipe organs. I really had no idea of his skill until then, but I wished that all Truro parishioners could have heard him play some great pipe organs. With bachelors and masters degrees in organ performance, he had performed many recitals and he taught lots of young organists. For his whole life, Gary was singularly dedicated to serving the Church and inspiring her people through the gift of music. From his first position as a church musician at age seventeen to his last at a large parish in Ohio, he taught, led, and worshipped with thousands of people who will greatly miss him. So at least for now, we must say goodbye and “well done” to a great servant of the Church. Thank you for posting this! Gary was the organist, choir director at All Saints in Winter Park when we first went there. He and Merrilee were a charming couple. How great that Gary ended up bringing his gifts to St. Joseph Church in Sylvania, Ohio, my home town. Many of my close childhood friends went to St. Joe's parochial school. 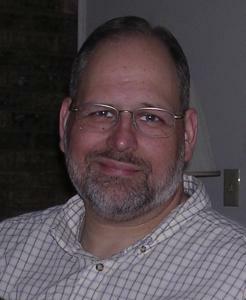 Jamie Brown, formerly at Truro and now the worship leader at The Falls Church, has a wonderful posting on Gary's passing on his blog. My condolences. Seems as if you lost a dear friend. I am still young so I've not had to outlive any of my friends. What a wonderful witness…may he rest in peace and rise in Glory. Mary, thanks for posting this. I'll be keeping Merrilee in prayer. Jamie's tribute does a wonderful job of capturing some of the uniqueness of Truro's worship style. I still can get chills singing the Gloria after all these years. Gary was such a blessing to Truro! Gary and Merrilee are two of the most sincere and unpretentious people I ever met. He was funny, and with his unique style coaxed a wonderful sound, and garnered respect from his choir, a feat done without ever bullying or belittling, as I had experienced in a previous post. Merrilee was there to switch off with him and make it possible for gymnastic feats from Gary on the organ and piano. I am so grateful to Gary for bringing me to Truro as a soprano section leader. His fair treatment of singers was stellar, and he was a true advocate of giving singers what they need, a platform for their skills and a guilt-free pay system. Never did he budge on his professionals getting what they deserved; in a field where singing for the Lord is often deemed the only remuneration necessary, he was a dogged supporter of fairness for vocalists. That is why Truro choir stood out, and comments from the congregation were nothing but positive when he was in charge. I am forever grateful also for the opportunity to ad lib on a gospel tune and just go up to the microphone with 8 bars notice and sing a solo. It kept me and all the other soloists on our toes, that’s for sure! It also completely obliterated my nerves, which I could only indulge for a brief time or they would have gotten in the way. Now my philosophy is just “go for it!”, and that is all thanks to Gary. There has been none to match him and there will never be another. 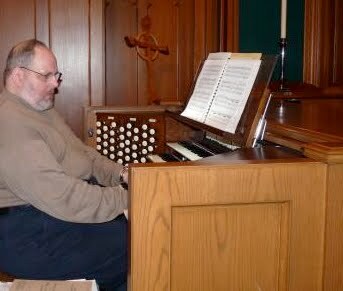 God keep you in his everlasting arms Gary, that is if he can pull you off heaven’s organ bench! Jennifer, what a wonderful, wonderful tribute. Nothing like a good cry in the morning. God bless you. I called Gary to be the organist at our church, with the enthusiastic approval of a small search committee. When it came time to work out the details, Gary told us how much money he needed and to my grave disappointment, the committee approved a salary that surpassed my own—as rector of the parish. Gary happened to ask how much the rector was earning, and upon hearing of the discrepancy immediately turned down the offer. His explanation revealed enormous integrity and a respect for my ministry and office. I will never forget his truly Christian example of justice.